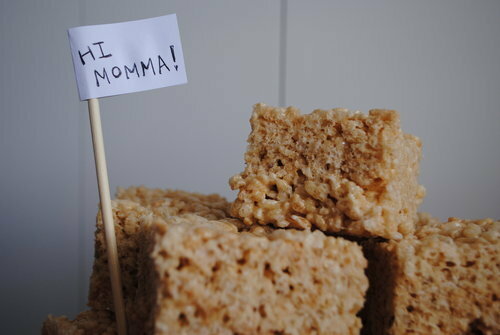 What can I say about Rice Krispie treats that hasn’t already been said? These are definitely one of my very favorite desserts or treats- have been ever since I can recall. I turned the big 29 in April and my mom sent me home with a big pan of ‘em as one of my gifts. And. I ate all but 1/4 of the pan in a matter of a week. Phew, that was therapeutic. I should be blaming it on the nursing, huh? 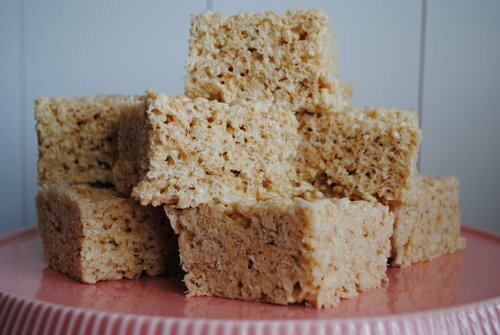 I don’t like to use the phrase “the best” a lot, but these really are the best Rice Krispie treats I have ever tasted. Give them a whirl this weekend- from the looks and sounds of it, the weather here in Utah is going to be crummy. 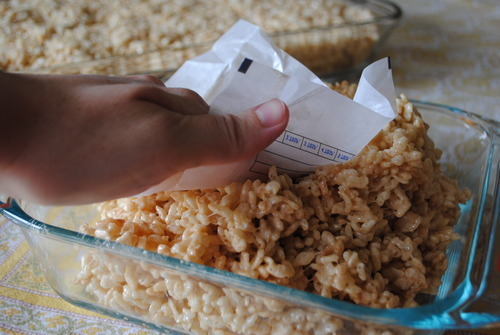 Take butter wrappers and use them to press and mold the mixture into pans (see picture below).